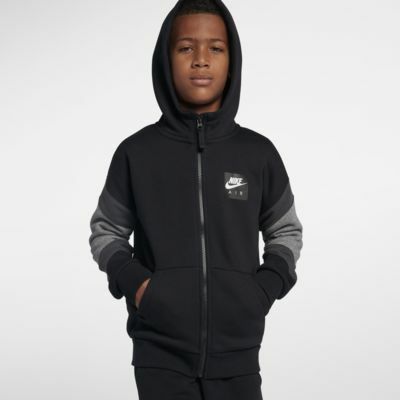 The Nike Air Big Kids' (Boys') Full-Zip Hoodie combines soft brushed fleece and a hood to help keep you warm and comfortable. 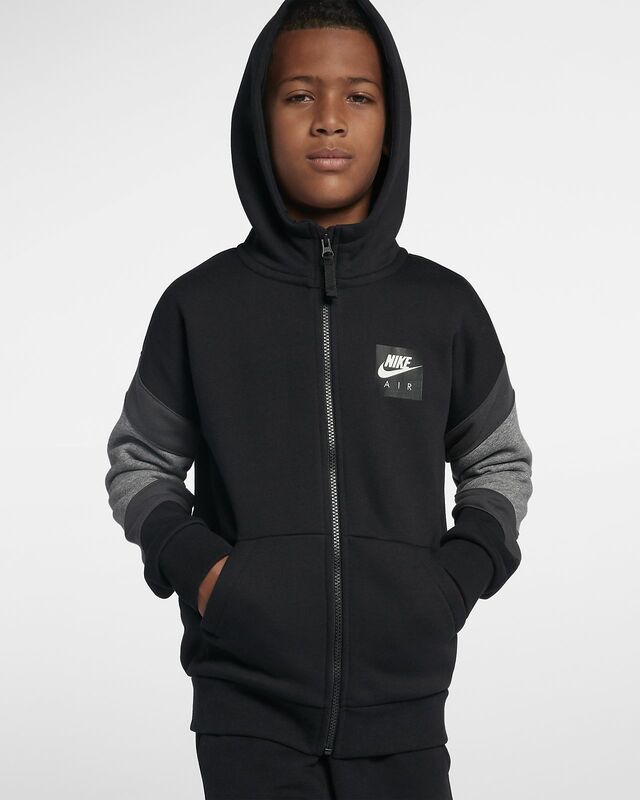 The Nike Air Big Kids&apos; (Boys&apos;) Full-Zip Hoodie combines soft brushed fleece and a hood to help keep you warm and comfortable. Fabric: Body: 80% cotton/20% polyester. Hood lining: 100% cotton. Rib: 98% cotton/2% spandex.